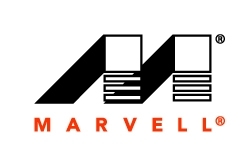 Marvell, the world leader in providing solutions to the storage industry, communications sector and consumer silicon solutions, announced that the entire Avastar 802.11n solutions will enhance an innovative transmitter beamforming technology, in order to boost robustness of wireless links, adding support to new and existing 1×1 – 4×4 MIMO products, as well as legacy devices. The innovation would not require any special antennae or attaching of any cost-increasing elements, while delivering boost with over 10dB, tested in enterprise and home environments. With the company claiming to have achieved the horizon, the throughput is between twice and twenty times as fast as usual. Wi-Fi has become the critical common link to achieve seamless connectivity across all devices. I believe users now expect and demand robust, secure connectivity among all their wireless devices no matter where they go or what data applications they are running. Existing wireless solutions still presents different challenges when it comes to the long range and high throughput required for applications such as HD video streaming. Marvell raises technology bar with Wi-Fi solutions leveraging beamforming technology, increasing throughput at range and delivering consistent performance at all times, ultimately providing greater user experience with Wi-Fi than what has traditionally been possible. The innovative Wi-Fi solutions would completely change how the technology is used today. Beamforming is a specialized method of radio-frequency transmission used in Wi-Fi access points, enhancing the signal reception at the client while extending Wi-Fi signal coverage by two to four times. Wi-Fi Direct To Launch Today, Will Bluetooth Fade?